Is train yoga a thing now? 1. This cat who is truly living the life. 2. This learner driver who needed a break but still had to get to work on time. 3. This old mate and his rat. 4. And this old lady and her rat. 5. This champ who was done with the day. 6. This nifty storage solution for the coolest form of transport. 7. This souvenir of a great night. 8. This poster that got an upgrade. 9. And this little present that was left on a seat. 10. And this sick burn. 11. When the 7.27 to Hogwarts arrived at the station. 12. And when this train was just straight-up done. 13. This great sign upgrade. 14. This guy who didn't want to waste time at a yoga class. 15. Which seems to be a regular occurrence. 16. And this guy saving money on a gym membership. 17. This work of art made from the train stickers. 18. This pirate with a trolley full of swords and a boom box. 19. 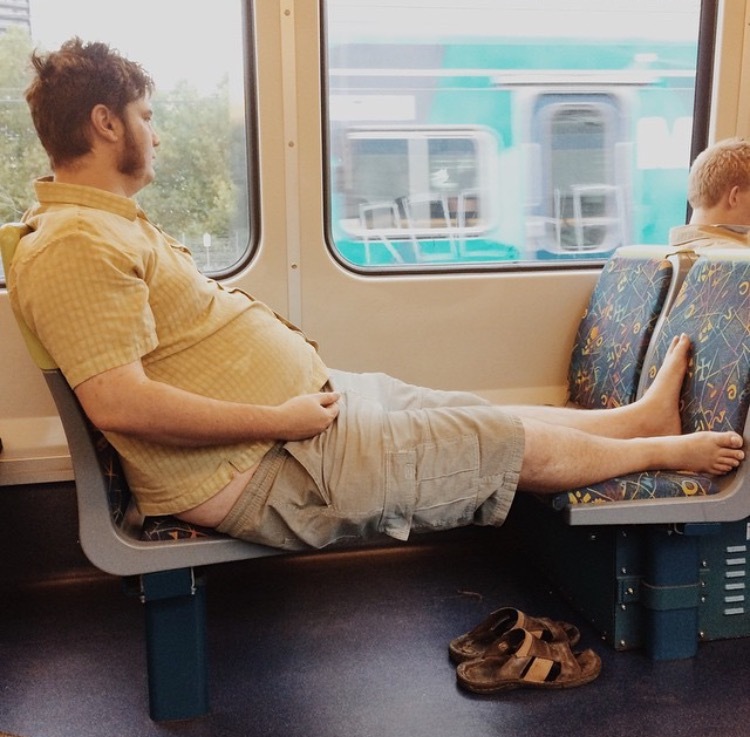 This hobbit who just wanted to be comfortable. 20. This A+ ad placement. 23. And this graffiti which is just perplexing. 24. This bus that wanted to go home. 28. And this lovely greeting. 30. These personalised Myki cards. 31. And this machine which just wants you to get a fine.